Tuan Haji Abdul Halim Bin Ibrahim, Head of Sports Unit Penang State Education Department, Jim Wong, Senior Director of Global Marketing Partnerships, NBA Asia and Sharon Lee, Brand Manager of Marketing Department, Dutch Lady Milk Industries Berhad were present at the announcement of six selected participants (two girls and four boys) namely Ooi Qi Yan, Choo Chloe, Tan Wei Thong, Chong Chee Boon, Tan Chun Zhi and Tan Hunn Chuann who will advance to the Selection Camp in Kuala Lumpur from July 16 - 17, moving them one step closer to being named as a Jr. NBA Malaysia All-Star! Group photo with Tuan Haji Abdul Halim Bin Ibrahim, Head of Sports Unit Penang State Education Department, Jim Wong, Senior Director of Global Marketing Partnerships, NBA Asia, Sharon Lee, Brand Manager of Marketing Department, Dutch Lady Milk Industries Berhad and all participants of Jr. NBA Malaysia 2016 presented by Dutch Lady Penang Basketball Clinic. 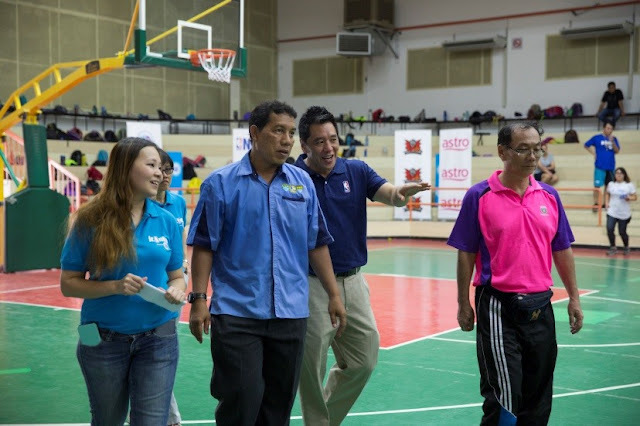 The clinics were led by Jr. NBA coach Chris Sumner, along with coaches from the Westports Malaysia Dragons, and the Ministry of Education (MOE) from Penang. Participants were trained in the fundamentals of basketball, learning the importance of the Jr. NBA’s core values of sportsmanship, teamwork, having a positive attitude, respect (S.T.A.R.) and the benefits of proper nutrition. 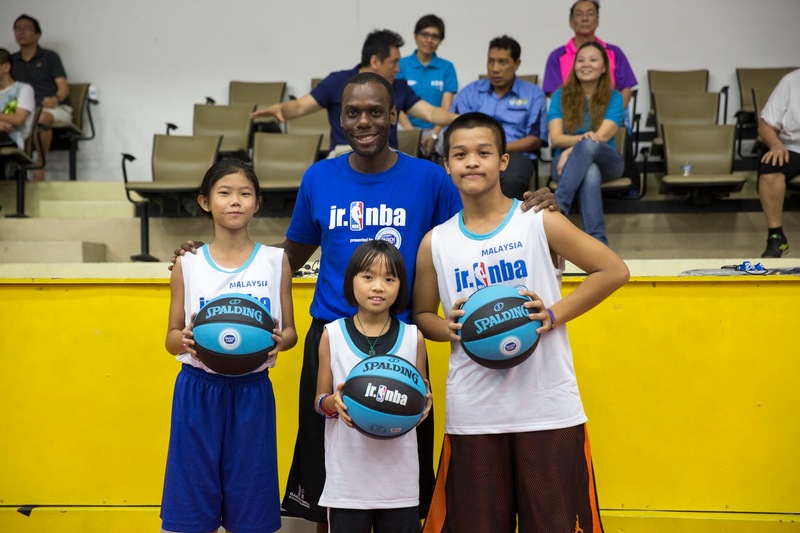 Dutch Lady serves as the presenting partner of the Jr. NBA progam in Malaysia as part of its Drink. Move. 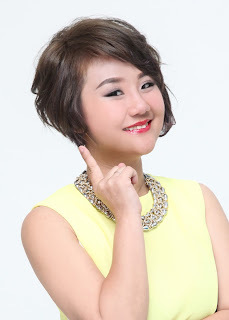 Be Strong campaign, which encourages an active lifestyle and a healthy diet among Malaysia youth while highlighting milk’s role in a child’s growth and development, helping build muscle, keeping bones strong while also filling up and rehydrating. The Penang clinic culminated with the selection of two girls and four boys who will attend the Selection Camp in Kuala Lumpur from July 16 – 17. 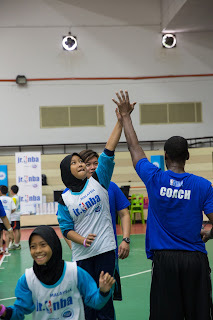 The July 16 – 17 Selection Camp in Kuala Lumpur is a two day event made up of skill stations and clinics on the first day, followed by scrimmages and final selections on the second day. A total of 40 boys and 24 girls, from the ages of 10 to 14 will be selected to advance to the National Training Camp from August 5 – 7. 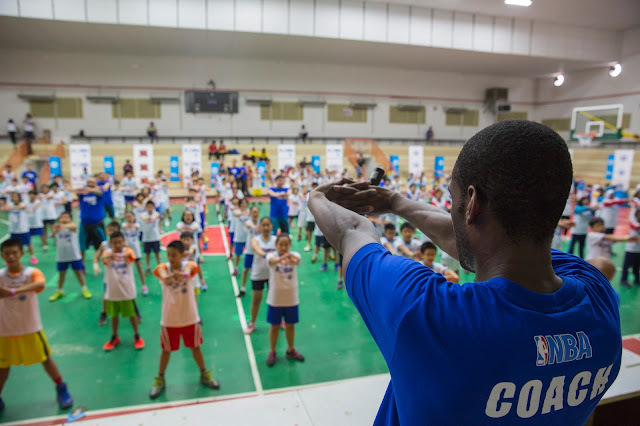 The National Training Camp will once again be attended by an active or retired NBA player and feature a NBA Cares community outreach event. The program will culminate with the selection of 10 boys and five girls, who will be named as 2016 Jr. NBA Malaysia All-Stars. These standout campers will embark on a unique, overseas NBA experience together with fellow Jr. NBA All-Stars from Southeast Asia later in the year. Fans can follow Jr. NBA on Facebook at www.facebook.com/jrnbamalaysia. For all things NBA, visit www.nba.com and “Friend” the NBA’s official account on LINE by adding @nba_global.